By clicking the continue button above, I certify I have read the CME/CE information below. Chronic lymphocytic (CLL) and chronic myelogenous (CML) leukemia are commonly diagnosed and treated by community oncologists. Whereas, in the past, these hematologic malignancies were considered incurable, new therapies have challenged that notion. Tyrosine kinase inhibitors (TKIs) annihilated the concept of CML as a poorly controlled disease, and most patients are now expected to live a normal life, with good quality of life. New testing procedures have suggested that some patients may be “cured,” such that ongoing chronic pharmaceutical intervention may be interrupted or discontinued. Identifying new targets in CLL has similarly changed the paradigm of intervention to the possibility of “cure” using a more aggressive and multiagent approach. A new form of immunotherapy, using CAR-T cells, initially used in acute leukemias, now appears to be applicable to CLL as well, with encouraging results. New molecular tests to identify subsets of patients who may benefit from targeted interventions have also improved the chances of success in treating chronic leukemias. This webcourse will review new concepts in diagnosis and treatment of CLL and CML. Saar Gill, MD, PhD obtained his medical degree and PhD in immunology from the University of Melbourne in Australia, and completed a post-doctoral fellowship in cellular therapy at Stanford University. 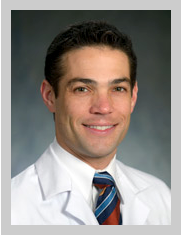 He is now an Assistant Professor of Medicine at the University of Pennsylvania, where he specializes in the treatment of patients with leukemia and in bone marrow transplantation. Dr. Gill leads a clinical trial of chimeric antigen receptor (CAR) T cell trials for chronic lymphocytic leukemia. Dr. Gill’s research laboratory focuses on the interface between adoptive cellular therapy and genetic engineering. This activity has been planned and implemented in accordance with the accreditation requirements and policies of the Accreditation Council for Continuing Medical Education (ACCME) through the joint providership of the Potomac Center for Medical Education and Rockpointe Oncology. The Potomac Center for Medical Education is accredited by the ACCME to provide continuing medical education for physicians. The Potomac Center for Medical Education designates this enduring activity for a maximum of 1.00 AMA PRA Category 1 Credit TM. Physicians should claim only the credits commensurate with the extent of their participation in the activity. The Potomac Center for Medical Education is accredited by the Accreditation Council for Pharmacy education as a provider of continuing pharmacy education. Total number of CE credits made available at this conference is 1.0 hours (0.10 CEUs). A statement of credit will be issued only upon receipt of a completed activity evaluation. This is an application-based activity. For questions regarding CME/CE credit, the post-test, evaluation, please email contact@potomacme.org. In support of improving patient care, this activity has been planned and implemented by the Postgraduate Institute for Medicine, the Potomac Center for Medical Education, and Rockpointe Oncology. 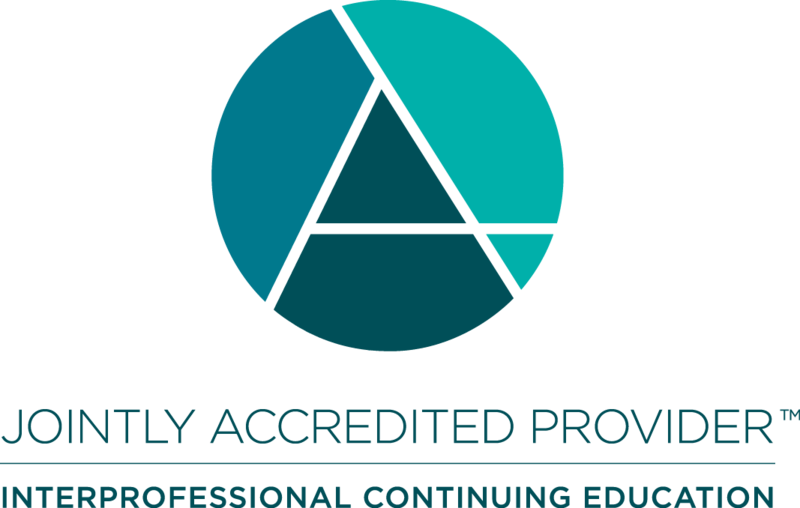 Postgraduate Institute for Medicine is jointly accredited by the Accreditation Council for Continuing Medical Education (ACCME), the Accreditation Council for Pharmacy Education (ACPE), and the American Nurses Credentialing Center (ANCC), to provide continuing education for the healthcare team. The maximum number of hours awarded for this Continuing Nursing Education activity is 1.1 contact hours. Designated for 0.3 contact hours of pharmacotherapy credit for Advance Practice Registered Nurses. All persons in a position to control the content of a continuing medical education program provided by PCME are required to disclose any relevant financial relationships with any commercial interest to PCME as well as to learners. All conflicts of interest are identified and resolved by PCME in accordance with the Standards for Commercial Support in advance of delivery of the activity to learners. The content of some CME/CE activities may contain discussions of non-approved or off-label uses of some agents mentioned. Please consult the prescribing information for full disclosure of approved uses. There is no fee for this activity. To receive credit, participants must take the pre-test, view this CME/CE activity in its entirety, and then complete the post-test, with a score of 70% or better, and evaluation. The estimated time for completion of this activity is 1.0 hour. To receive their certificates, participants must demonstrate mastery of the presented material via the post-test. Participant is allowed to take the post-test multiple times. This activity is supported by independent educational grants from AstraZeneca, Genentech, Lilly, and Novartis Pharmaceuticals Corporation. For further information concerning Lilly grant funding visit www.lillygrantoffice.com.